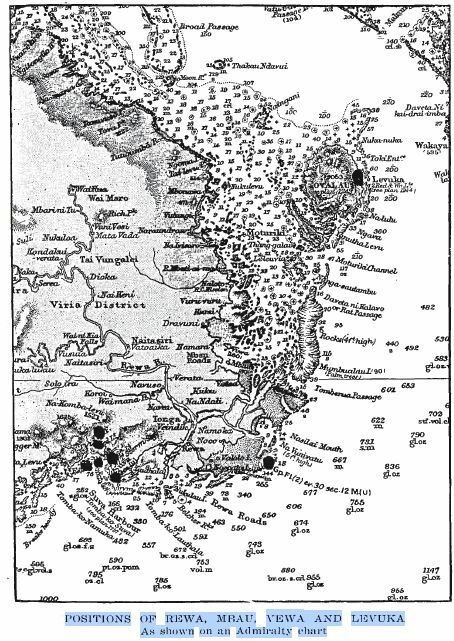 The dots on the map shows incidence of war in Levuka and Suva Bay 1840 to 1853. They were marked by G. C. Henderson, Professor Of History, Adelaide University in a book published in 1931. 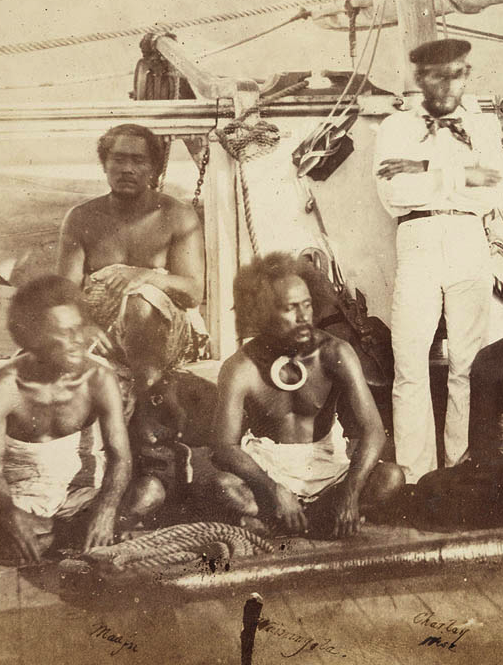 Henderson said first-contact missionary Thomas Williams was ignorant of Fijian custom, and competitive pressures, and it was unrealistic for Williams to request pacifism of Fijian leader, Tuikilakila, of Somosomo. Early view of Fijian culture was based on ignorance: “William’s early view of Fijian culture was based on ignorance; and Williams later changed his views, as he gained a deeper knowledge. Henderson wrote; “The history of these three years of warfare at Mbua Bay from 1849 to 1852 is full of instruction for those who think that peace can be attained in this world of conflicting interests and passions, simply by pacifist teaching”. ‘big guns and marines were emissaries of peace’ “Among other things it proves that, in the middle of last century in Fiji, British naval officers with their fighting ships, big guns and marines were emissaries of peace quite as truly as the missionaries with their Bible, creed and native agents’ and that in times of great suffering and danger their help was indispensable to the missionaries. Pacifism too abstract for Tuikilakila of Somosomo: The “pacifism which he had contended for against Tuikilakila of Somosomo was too superficial, abstract and visionary to be applicable to the turbulent conditions”. The Journal Of Thomas Williams, Missionary In Fiji, 1840-1853 By G. C. Henderson, M.a. (Oxon.) Emeritus Professor Of History, Adelaide University Author Of Sir George Grey : Founder Of Empire In Southern Lands, Fiji And The Fijians 1885-1856 In Two Volumes Vol. I Australia Angus & Robertson Ltd, 1931. The original manuscript of the journal is in the Mitchell Library, Sydney, in two folios, containing 874 pages and about 250,000 words.